The Schumann resonances (SR) are a set of spectrum peaks in the extremely low frequency (ELF) portion of the Earth's electromagnetic field spectrum. Schumann resonances are global electromagnetic resonances, excited by lightning discharges in the cavity formed by the Earth surface and the ionosphere. This global electromagnetic resonance phenomenon is named after physicist Winfried Otto Schumann who predicted it mathematically in 1952. Schumann resonances occur because the space between the surface of the Earth and the conductive ionosphere acts as a closed waveguide. The limited dimensions of the Earth cause this waveguide to act as a resonant cavity for electromagnetic waves in the ELF band. The cavity is naturally excited by electric currents in lightning. Schumann resonances are the principal background in the electromagnetic spectrum between 3-69 Hz, and appear as distinct peaks at extremely low frequencies (ELF) around 7.83, 14.3, 20.8, 27.3 and 33.8 Hz. In the normal mode descriptions of Schumann resonances, the fundamental mode is a standing wave in the Earth-ionosphere cavity with a wavelength equal to the circumference of the Earth. This lowest-frequency (and highest-intensity) mode of the Schumann resonance occurs at a frequency of approximately 7.83 Hz, but this frequency can vary slightly from a variety of factors, such as solar-induced perturbations to the ionosphere, which comprises the upper wall of the closed cavity. The higher resonance modes are spaced at approximately 6.5 Hz intervals, a characteristic attributed to the atmosphere's spherical geometry. The peaks exhibit a spectral width of approximately 20% on account of the damping of the respective modes in the dissipative cavity. The eighth overtone lies at approximately 59.9 Hz. Observations of Schumann resonances have been used to track global lightning activity. Owing to the connection between lightning activity and the Earth's climate it has been suggested that they may also be used to monitor global temperature variations and variations of water vapor in the upper troposphere. It has been speculated that extraterrestrial lightning (on other planets) may also be detected and studied by means of their Schumann resonance signatures. Schumann resonances have been used to study the lower ionosphere on Earth and it has been suggested as one way to explore the lower ionosphere on celestial bodies. Effects on Schumann resonances have been reported following geomagnetic and ionospheric disturbances. More recently, discrete Schumann resonance excitations have been linked to transient luminous events - sprites, elves, jets, and other upper-atmospheric lightning. A new field of interest using Schumann resonances is related to short-term earthquake prediction. The first suggestion that an ionosphere existed, capable of trapping electromagnetic waves, was made by Heaviside and Kennelly in 1902. It took another twenty years before Edward Appleton and Barnett in 1925, were able to prove experimentally the existence of the ionosphere. However, even prior to this, the first documented observations of global electromagnetic resonance, was at the Colorado Springs laboratory of Nikola Tesla in 1899. This observation led to certain peculiar conclusions about the electrical properties of the earth, and which made the basis for his scheme for wireless energy transmission. Although some of the most important mathematical tools for dealing with spherical waveguides were developed by Watson in 1918, it was Winfried Otto Schumann who first studied the theoretical aspects of the global resonances of the earth-ionosphere waveguide system, known today as the Schumann resonances. In 1952-1954 Schumann, together with Konig, attempted to measure the resonant frequencies. However, it was not until measurements made by Balser and Wagner in 1960-1963that adequate analysis techniques were available to extract the resonance information from the background noise. Since then there has been an increasing interest in Schumann resonances in a wide variety of fields. Tesla researched ways to transmit power and energy wirelessly over long distances (via transverse waves, to a lesser extent, and, more readily, longitudinal waves). He transmitted extremely low frequencies through the ground as well as between the Earth's surface and the Kennelly-Heaviside layer. He received patents on wireless transceivers that developed standing waves by this method. In his experiments, he made mathematical calculations and computations based on his experiments and discovered that the resonant frequency of the Earth was approximately 8 hertz (Hz). In the 1950s, researchers confirmed that the resonant frequency of the Earth's ionospheric cavity was in this range (later named the Schumann resonance). Today Schumann resonances are recorded at many separate research stations around the world. The sensors used to measure Schumann resonances typically consist of two horizontal magnetic induction coils for measuring the north-south and east-west components of the magnetic field, and a vertical electric dipole antenna for measuring the vertical component of the electric field. A typical passband of the instruments is 3-100 Hz. The Schumann resonance electric field amplitude (~300 microvolts per meter) is much smaller than the static fair-weather electric field (~150 V/m) in the atmosphere. Similarly, the amplitude of the Schumann resonance magnetic field (~1 picotesla) is many orders of magnitude smaller than the Earth magnetic field (~30-50 microteslas). Therefore, special receivers and antennas are needed to detect and record Schumann resonances. The electric component is commonly measured with a ball antenna, suggested by Ogawa et al., in 1966, connected to a high-impedance amplifier. The magnetic induction coils typically consist of tens- to hundreds-of-thousands of turns of wire wound around a core of very high magnetic permeability. From the very beginning of Schumann resonance studies, it was known that they could be used to monitor global lightning activity. At any given time there are about 2000 thunderstorms around the globe. Producing ~50 lightning events per second, these thunderstorms create the background Schumann resonance signal. Determining the spatial lightning distribution from Schumann resonance records is a complex problem: in order to estimate the lightning intensity from Schumann resonance records it is necessary to account for both the distance to lightning sources as well as the wave propagation between the source and the observer. The common approach is to make a preliminary assumption on the spatial lightning distribution, based on the known properties of lightning climatology. An alternative approach is placing the receiver at the North or South Pole, which remain approximately equidistant from the main thunderstorm centers during the day. One method not requiring preliminary assumptions on the lightning distribution is based on the decomposition of the average background Schumann resonance spectra, utilizing ratios between the average electric and magnetic spectra and between their linear combination. This technique assumes the cavity is spherically symmetric and therefore does not include known cavity asymmetries that are believed to affect the resonance and propagation properties of electromagnetic waves in the system. The best documented and the most debated features of the Schumann resonance phenomenon are the diurnal variations of the background Schumann resonance power spectrum. A characteristic Schumann resonance diurnal record reflects the properties of both global lightning activity and the state of the earth-ionosphere cavity between the source region and the observer. The vertical electric field is independent of the direction of the source relative to the observer, and is therefore a measure of global lightning. The diurnal behavior of the vertical electric field shows three distinct maxima, associated with the three hot spots of planetary lightning activity: 9 UT (Universal Time) peak, linked to the increased thunderstorm activity from south-east Asia; 14 UT peak associated with the peak in African lightning activity; and the 20 UT peak resulting for the increase in lightning activity in South America. The time and amplitude of the peaks vary throughout the year, reflecting the seasonal changes in lightning activity. In general, the African peak is the strongest, reflecting the major contribution of the African 'chimney' to the global lightning activity. The ranking of the two other peaks - Asian and American - is the subject of a vigorous dispute among Schumann resonance scientists. Schumann resonance observations made from Europe show a greater contribution from Asia than from South America. This contradicts optical satellite and climatological lightning data that show the South American thunderstorm center stronger than the Asian center although observations made from North America indicate the dominant contribution comes from South America. The reason for such disparity remains unclear, but may have something to do with the 60hz cycling of electricity used in North America (60hz being a mode of Schumann Resonance). Williams and Satori suggest that in order to obtain correct Asia-America chimney ranking, it is necessary to remove the influence of the day/night variations in the ionospheric conductivity (day-night asymmetry influence) from the Schumann resonance records. On the other hand, such corrected records presented in the work by Satori et al. show that even after the removal of the day-night asymmetry influence from Schumann resonance records, the Asian contribution remains greater than American. Similar results were obtained by Pechony et al. who calculated Schumann resonance fields from satellite lightning data. It was assumed that the distribution of lightning in the satellite maps was a good proxy for Schumann excitations sources, even though satellite observations predominantly measure in-cloud lightning rather than the cloud-to-ground lightning that are the primary exciters of the resonances. Both simulations - those neglecting the day-night asymmetry, and those taking this asymmetry into account, showed same Asia-America chimney ranking. As for today, the reason for the 'invert' ranking of Asia and America chimneys in Schumann resonance records remains unclear and the subject requires further, targeted research. In the early literature the observed diurnal variations of Schumann resonance power were explained by the variations in the source-receiver (lightning-observer) geometry. It was concluded that no particular systematic variations of the ionosphere (which serves as the upper waveguide boundary) are needed to explain these variations. Subsequent theoretical studies supported the early estimations of the small influence of the ionosphere day-night asymmetry (difference between day-side and night-side ionosphere conductivity) on the observed variations in Schumann resonance field intensities. 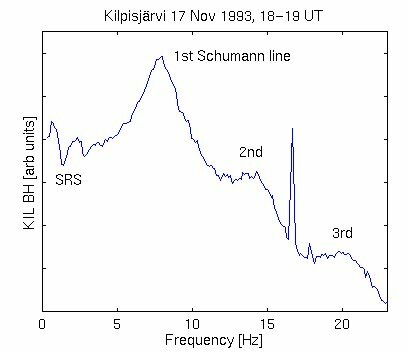 The interest in the influence of the day-night asymmetry in the ionosphere conductivity on Schumann resonances gained new strength in the 1990s, after publication of a work by Sentman and Fraser. Sentman and Fraser developed a technique to separate the global and the local contributions to the observed field power variations using records obtained simultaneously at two stations that were widely separated in longitude. They interpreted the diurnal variations observed at each station in terms of a combination of a diurnally varying global excitation modulated by the local ionosphere height. Their work, which combined both observations and energy conservation arguments, convinced many scientists of the importance of the ionospheric day-night asymmetry and inspired numerous experimental studies. However, recently it was shown that results obtained by Sentman and Fraser can be approximately simulated with a uniform model (without taking into account ionosphere day-night variation) and therefore cannot be uniquely interpreted solely in terms of ionosphere height variation. Schumann resonance amplitude records show significant diurnal and seasonal variations which in general coincide in time with the times of the day-night transition (the terminator). This time-matching seems to support the suggestion of a significant influence of the day-night ionosphere asymmetry on Schumann resonance amplitudes. There are records showing almost clock-like accuracy of the diurnal amplitude changes. On the other hand there are numerous days when Schumann Resonance amplitudes do not increase at sunrise or do not decrease at sunset. There are studies showing that the general behavior of Schumann resonance amplitude records can be recreated from diurnal and seasonal thunderstorm migration, without invoking ionospheric variations. Two recent independent theoretical studies have shown that the variations in Schumann resonance power related to the day-night transition are much smaller than those associated with the peaks of the global lightning activity, and therefore the global lightning activity plays a more important role in the variation of the Schumann resonance power. It is generally acknowledged that source-observer effects are the dominant source of the observed diurnal variations, but there remains considerable controversy about the degree to which day-night signatures are present in the data. Part of this controversy stems from the fact that the Schumann resonance parameters extractable from observations provide only a limited amount of information about the coupled lightning source-ionospheric system geometry. The problem of inverting observations to simultaneously infer both the lightning source function and ionospheric structure is therefore extremely underdetermined, leading to the possibility of nonunique interpretations. One of the interesting problems in Schumann resonances studies is determining the lightning source characteristics (the inverse problem). Temporally resolving each individual flash is impossible because the mean rate of excitation by lightning, ~50 lightning events per second globally, mixes up the individual contributions together. However, occasionally there occur extremely large lightning flashes which produce distinctive signatures that stand out from the background signals. Called "Q-bursts", they are produced by intense lightning strikes that transfer large amounts of charge from clouds to the ground, and often carry high peak current. Q-bursts can exceed the amplitude of the background signal level by a factor of 10 or more, and appear with intervals of ~10 s, which allows to consider them as isolated events and determine the source lightning location. The source location is determined with either multi-station or single-station techniques, and requires assuming a model for the earth-ionosphere cavity. The multi-station techniques are more accurate, but require more complicated and expensive facilities. It is now believed that many of the Schumann resonances transients (Q bursts) are related to the transient luminous events (TLEs). In 1995 Boccippio et al. showed that sprites, the most common TLE, are produced by positive cloud-to-ground lightning occurring in the stratiform region of a thunderstorm system, and are accompanied by Q-burst in the Schumann resonances band. Recent observations reveal that occurrences of sprites and Q bursts are highly correlated and Schumann resonances data can possibly be used to estimate the global occurrence rate of sprites. Williams  suggested that global temperature may be monitored with the Schumann resonances. The link between Schumann resonance and temperature is lightning flash rate, which increases nonlinearly with temperature. The nonlinearity of the lightning-to-temperature relation provides a natural amplifier of the temperature changes and makes Schumann resonance a sensitive thermometer. Moreover, the ice particles that are believed to participate in the electrification processes which result in a lightning discharge have an important role in the radiative feedback effects that influence the atmosphere temperature. Schumann resonances may therefore help us to understand these feedback effects. A strong link between global lightning and global temperature has not been experimentally confirmed as of 2008. Tropospheric water vapor is a key element of the Earth's climate, which has direct effects as a greenhouse gas, as well as indirect effect through interaction with clouds, aerosols and tropospheric chemistry. Upper tropospheric water vapor (UTWV) has a much greater impact on the greenhouse effect than water vapor in the lower atmosphere, but whether this impact is a positive, or a negative feedback is still uncertain. The main challenge in addressing this question is the difficulty in monitoring UTWV globally over long timescales. Continental deep-convective thunderstorms produce most of the lightning discharges on Earth. In addition, they transport large amount of water vapor into the upper troposphere, dominating the variations of global UTWV. Price 2000 suggested that changes in the UTWV can be derived from records of Schumann Resonances. The existence of Schumann-like resonances is conditioned primarily by two factors: (1) a closed, planetary-sized spherical cavity, consisting of conducting lower and upper boundaries separated by an insulating medium. For the earth the conducting lower boundary is its surface, and the upper boundary is the ionosphere. Other planets may have similar electrical conductivity geometry, so it is speculated that they should possess similar resonant behavior. (2) source of electrical excitation of electromagnetic waves in the ELF range. Within the Solar System there are five candidates for Schumann resonance detection besides the Earth: Venus, Mars, Jupiter, Saturn and its moon Titan. Modeling Schumann resonances on the planets and moons of the Solar System is complicated by the lack of knowledge of the waveguide parameters. No in situ capability exists today to validate the results, but in the case of Mars there have been terrestrial observations of radio emission spectra that suggest the presence of Schumann resonances and there is the possibility that future lander missions could carry in situ instrumentation to perform the necessary measurements. Theoretical studies are primarily directed to parameterizing the problem for future planetary explorers. The strongest evidence for lightning on Venus comes from the impulsive electromagnetic waves detected by Venera 11 and 12 landers. Theoretical calculations of the Schumann resonances at Venus were reported by Nickolaenko and Rabinowicz  and Pechony and Price . Both studies yielded very close results, indicating that Schumann resonances should be easily detectable on this planet given a lightning source of excitation and a suitably located sensor. On Mars detection of lightning activity has been reported by Ruf et al. , confirming the possibility of charge separation and lightning strokes in the Martian dust storms considered by Eden and Vonnegut  and Renno et al. . Martian global resonances were modeled by Sukhorukov , Pechony and Price  and Molina-Cuberos et al. . The results of the three studies are somewhat different, but it seems that at least the first two Schumann resonance modes should be detectable. Evidence of the first three Schumann resonance modes is present in the spectra of radio emission from the lightning detected in Martian dust storms. It was long ago suggested that lightning dischargers may occur on Titan, but recent data from Cassini-Huygens seems to indicate that there is no lightning activity on this largest satellite of Saturn. Due to the recent interest in Titan, associated with the Cassini-Huygens mission, its ionosphere is perhaps the most thoroughly modeled today. Schumann resonances on Titan have received more attention than on other celestial body, in works by Besser et al. , Morente et al. , Molina-Cuberos et al. , Nickolaenko et al. and Pechony and Price  . It appears that only the first Schumann resonance mode might be detectable on Titan. Jupiter is the only planet where lightning activity has been optically detected. Existence of lightning activity on this planet was predicted by Bar-Nun  and it is now supported by data from Galileo, Voyagers 1 and 2, Pioneers 10 and 11 and Cassini. Saturn is also expected to have intensive lightning activity, but the three visiting spacecrafts - Pioneer 11 in 1979, Voyager 1 in 1980 and Voyager 2 in 1981, failed to provide any convincing evidence from optical observations. The strong storm monitored on Saturn by the Cassini spacecraft produced no visible lightning flashes, although electromagnetic sensors aboard the spacecraft detected signatures that are characteristic of lightning. Little is known about the electrical parameters of Jupiter and Saturn interior. Even the question of what should serve as the lower waveguide boundary is a non-trivial one in case of the gaseous planets. There seem to be no works dedicated to Schumann resonances on Saturn. The alleged mystery of the Schumann resonance has attracted New Agers and other woo-pushers to it. 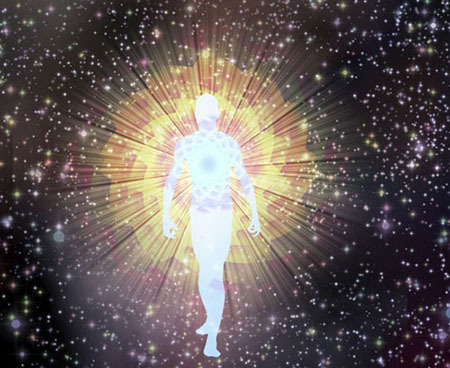 Gregg Braden has claimed in his book Awakening to Zero Point that the resonance is increasing in frequency, and that this has something to do with the Fibonacci sequence. Of course, he misrepresents the harmonic frequencies in order to make this claim. In actual fact, the harmonic series of waves all occur at the same time, and can either reinforce each other or cancel out. If this implied that the Schumann resonance is increasing, then music would be impossible on string instruments.